Background: The meaning of the name Baird is Minstrel, Poet. 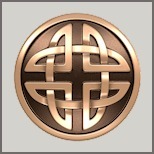 The mythological motif of saving the King through a feat of strength, common to other clan histories such as Baird and Turnbull, is also at the origin of the Baird clan. The legend recounts that the first Baird saved William the Lion from a wild boar - the killing of a wild boar also bearing similarities to the origin of Clan Campbell. Variations: Baard, Beard, Baird, Beird, MacBard, Barde, Bard. Discussion of this family is welcomed.